It has taken millions of years for the clear waters of the River Pivka to create these 21km of underground labyrinth of passages, caverns and great halls, decorated with dripstones, translucent curtains and pillars of fascinating shapes and colors. After an unforgettable underground train ride to the heart of the cave system, experienced guides will accompany you on a walk through the subtly lit fairy-tale like underground world. Back in the daylight, the trip will continue towards the astonishing castle of the robber knight Erasmus. For centuries dramatically hanging in over a 100-meter-high vertical cliff, it's waiting for you to take that famous photo in front of it. 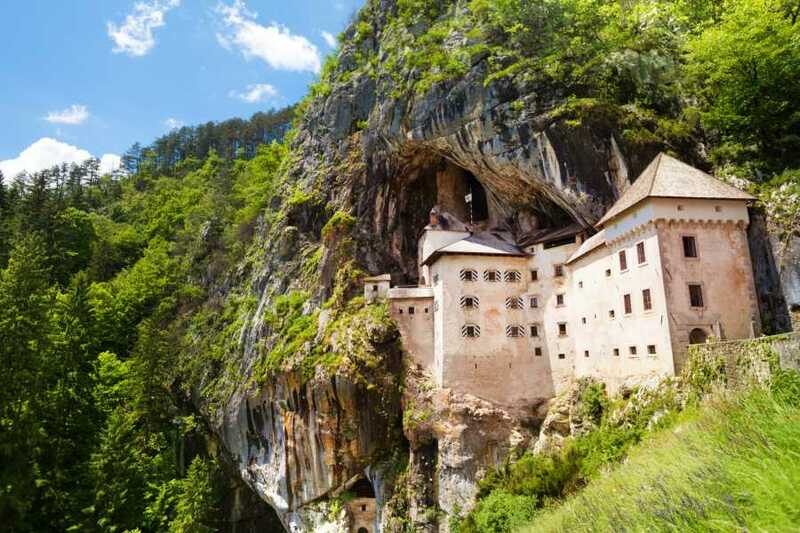 We will enjoy local cusine and later drive through green landscape towards Bled. It was here that the Yugoslavia Royal Family once had a summer residence, later replaced by the summer residence of President Tito, which can still be seen by the lake. After an enjoyable drive, we can board a traditional ‘pletna’ boat and smoothly glide over the lake to visit the only Slovenian island. Its top is crowned with a little church, and you will have an opportunity to ring the mysterious wishing bell. A scenic road takes us around the lake and to the medieval castle perched high on a cliff. Built over a thousand years ago, it was once an unconquerable property of the Bishops of Brixen. Today, it attracts visitors with its museum, and demonstrations of old crafts and traditions, not to mention the breathtaking view of the surroundings.